Vermont will join a coalition of states intent on countering President Donald Trump’s decision to withdraw from the Paris climate change agreement, Gov. 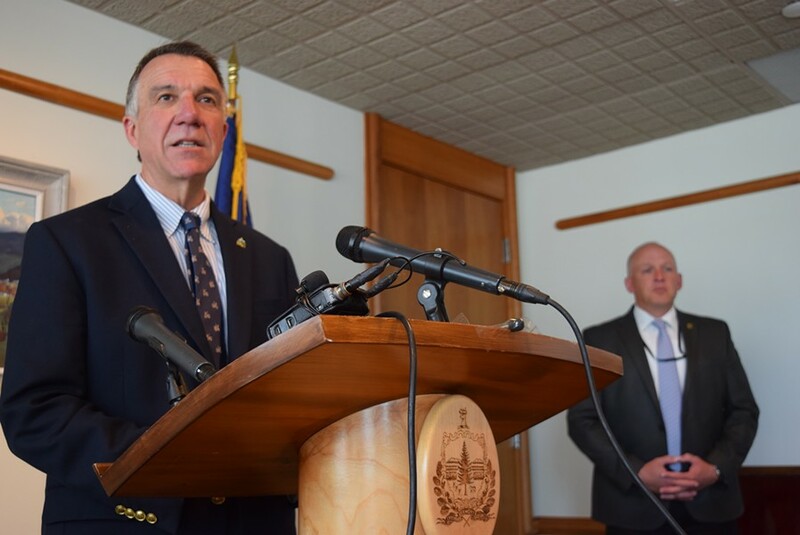 Phil Scott announced Friday. The governors of three states — New York, California and Washington — announced Thursday plans to form the U.S. Climate Alliance, an effort meant to achieve the Paris agreement’s goals of reducing carbon emissions. Late Friday afternoon, after lawmakers and environmental activists called for Vermont to play a part, Scott announced the state will also join the coalition. “I am proud to join this bipartisan group of governors and reaffirm Vermont’s commitment to fighting climate change through the U.S. Climate Alliance,” Scott said in a written statement. On Wednesday, the governor said he and Massachusetts Gov. Charlie Baker, a fellow Republican, sent Trump a letter urging him not to withdraw. Then on Thursday, Scott issued a statement that criticized the withdrawal decision, and he promised to continue working toward reducing carbon emissions. Around the same time, the founding states created the U.S. Climate Alliance — but Vermont was not asked to join them, Scott spokeswoman Brittney Wilson said. “This is the first we’ve heard of it,” she said Thursday night. On Friday morning, Vermont Sen. Chris Pearson (P/D-Chittenden) said he planned to nudge the governor on the issue by sponsoring a resolution in the legislature calling for Vermont join the alliance. “It would be nice to see the governor take the initiative himself, but the legislature can do it as well,” Pearson said. Hours later, the governor announced Vermont had joined. Massachusetts, too, has joined the alliance. Meanwhile, several environmental groups planned a rally at 6 p.m. Friday in response to Trump’s decision, starting at Democracy Square on Main Street in Burlington.